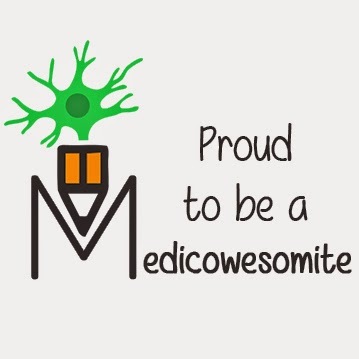 "Do you have any mnemonics on vasopressin related disorders? 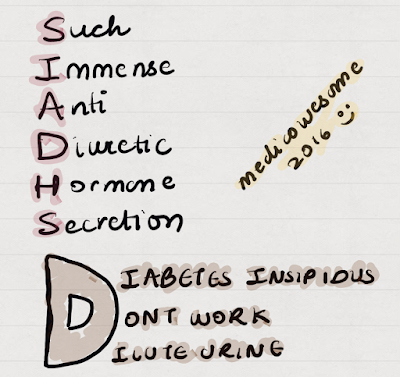 I always mix up diabetes insipidus and syndrome of inappropriate anti-diuretic hormone!" DI: Dumb or Disappered hormone! Here's an extra mnemonic kinda thingy? NSAIDS can cause inappropriate antidiuresis. Mnemonic: NSAIDS aid ADH. Also "SIAD" for SIADH and "SAID" for NSAID are anagrams. A primary deficiency of plasma ADH can result from increased metabolism by an N-terminal aminopeptidase produced by the placenta. It is referred to as gestational DI because the signs and symptoms manifest during pregnancy and usually remit after delivery.